If you’re a growth hacker, you already know that SEO is the name of the growth game. Put simply, the practice of optimising your website to obtain a higher website ranking on search engines for keywords users enter is called Search Engine Optimisation (SEO). It’s a marketing practice that’s perpetually evolving, and as such the rules of the game are perpetually changing. SEO is important because everyone’s on Google these days! They’re searching for solutions to their problems, and if you’re not on page one, you’ll quickly lose contact with your customers. 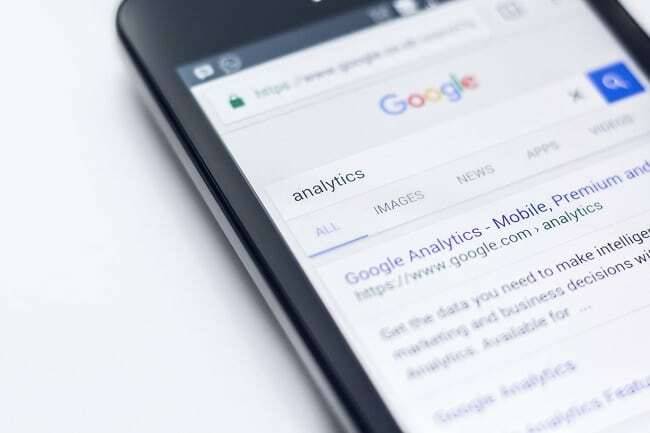 This article will provide you with pragmatic insights from SEO experts in the industry, give you some tips and tricks for quick SEO wins, tell you a bit about the future of SEO, and advise you on what you can do to stay on top of your game. We spoke to Paul Smith, Digital Channel Manager at the Big Red Group in Sydney, where SEO is a major part of his role. He says that through analysing data it’s possible to build accurate user personas, which help you understand what your users are searching for, what their problems, aspirations and desires are, and what kind of content they’d like to consume. “Quality content trumps everything,” says Paul, “followed by on-page and off-page SEO.” Using keyword data and analysing user behaviour also helps with creating targeted content that users love. A tip for a quick SEO win from Paul is to spend a little time every day on analysing which keywords are bringing the most traffic to your website, and then take action accordingly. Being armed with information puts the power in your hands to create relevant content that empowers users, which is exactly what Google wants you to do. Page load speed: It’s vital that you improve the page upload speed of your website. This involves organizing your website architecture, eliminating waste content, removing bugs, optimising images and much more. It’s not always easy to improve site speed, as there are so many factors involved. But an overall analysis of your website, with smart iterations and improvements, can make all the difference. 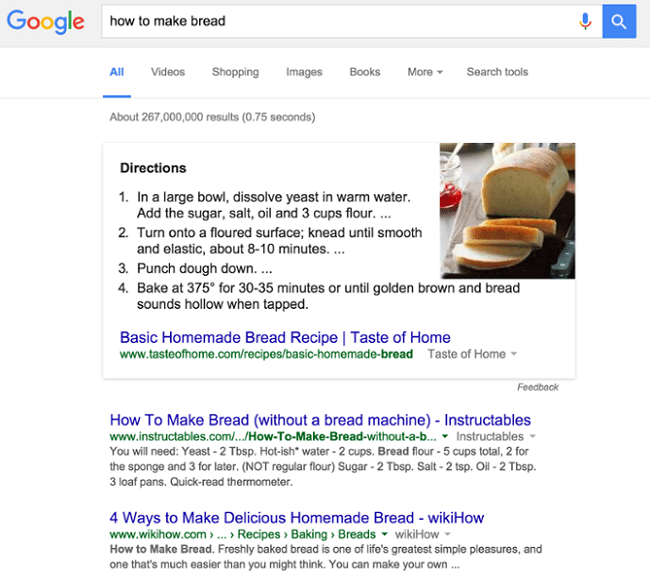 As you might have guessed, the box at the top with directions to make bread is the featured snippet. Clearly, being in the featured snippet box improves your odds of being clicked on. So you need to take these little boxes seriously! By re-optimising content in ‘answer box’ style snippets, your content has a chance of being featured at the top – but only if it directly addresses a search query. So get snippety with your content! Lastly Gipi shares that if he only had a couple of minutes a day, he’d do ‘health checks’ on broken links and pages. He has learnt over the years that “optimising internal links and metadata on pages will have the most impact on SEO.” The lesson is clear: it’s important to make the best of what you have, before you look externally. Paul Smith believes that ‘mobile first’ will be the big algorithm change search engines make. He re-emphasises the importance of quality content and great backlinks from great websites to win the SEO game, both on mobile and desktop. Extrapolating from his insights, we’d recommend not taking any ‘shortcuts’, and focusing on creating content that builds value. 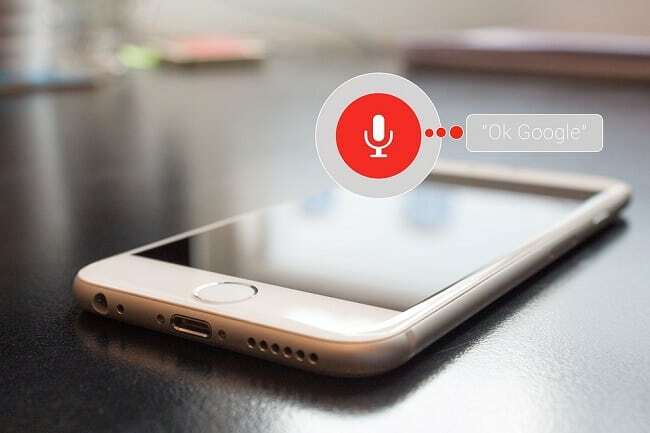 Gipi Gopinath also mentions how voice is transforming search. With the emergence of gadgets like Google Home and Amazon Alexa, you’ve got to think of what people speak when they’re searching, rather than what they type. In such an ever-evolving field as search engine optimisation, it’s vital that you always look to the future. So what tools should you be using to sharpen your SEO skill set? Paul recommends reading the Yoast Blog, especially if you’re doing SEO for a small business with a WordPress website. And if you really want to keep your finger on the SEO pulse, he recommends subscribing to SEO Roundtable. The MOZ Blog: Always great to read for both SEO & SEM (search engine marketing) tips. Search Engine Land: They cover all trends in SEO and SEM for Google, Bing and other search engines. Backlinko: A great resource for link building strategies. Avinash Kaushik’s Blog: Another great resource for learning about data, analytics and more in the marketing domain. SEO is a long-term marketing play requiring consistent effort over several weeks. This being the case, you need to sit down and listen to the experts. Constantly being aware of what’s working and what’s not is key to your success. The knowledge is out there, so it’s up to you to leverage it in a way that’s forward-thinking and aligned with where your customers are searching and what they’re searching for. Looking for your next exciting career opportunity? Check out our latest job openings.